We had loads of fun devising a few fun cosplay ideas for you to try for Halloween - why not try making a TARDIS lamp headband, Ood mask or Clockwork Droid mask? I answered a few of your burning questions on Crispy Pro's channel! 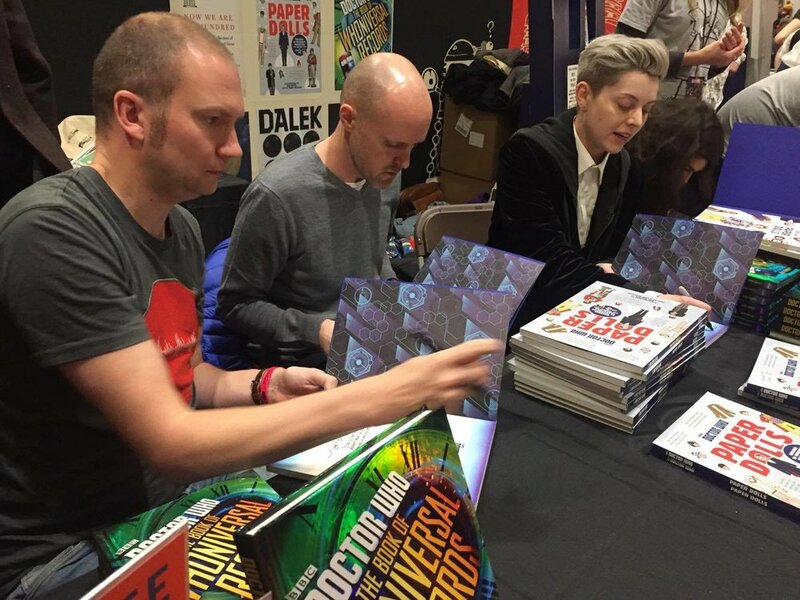 I had a great time signing copies of Doctor Who: Paper Dolls with co-author, Simon Guerrier and illustrator, Ben Morris at the Doctor Who BBC Books stand at MCM London Comic Con. Thanks to everyone who stopped by and said hi! Don't forget to follow me on Twitter (@ChristelDee) and Facebook for regular updates. I'll be back at the end of next month for November's roundup. Until then, have a great November!